"Add to the fun of the Sims with the World Adventures expansion pack!" Note: This is not the full game the Sims 3. This is a free expansion pack that will unlock new items and places in the original game. This is not a standalone application and requires the Sims 3 to be installed on your PC or the application will not install. The Sims 3 was a wildly successful game that put its players in the shoes of a sim - of their own creation - in the sim world in with the main goal of fulfilling their unique aspirations. You can control every move and daily action of your sim. You can build them the biggest and best house in the city where they can throw parties all of the time slowly becoming the most popular and envied sim in the city; or save your money and build a cozy little shack, visit the other sims' houses and party there, slowly becoming the most popular sim in the city. Make everyone love you, or make them all hate your guts. Have kids. Build a nursery. Be an award winning scientist or a daring thief. The possibilities are endless with the Sims 3. With the World Adventures expansion pack, some of those possibilities are realized as your sim will be able to travel the world to beautiful, scaled down, and re-imagined versions of popular countries and cities. 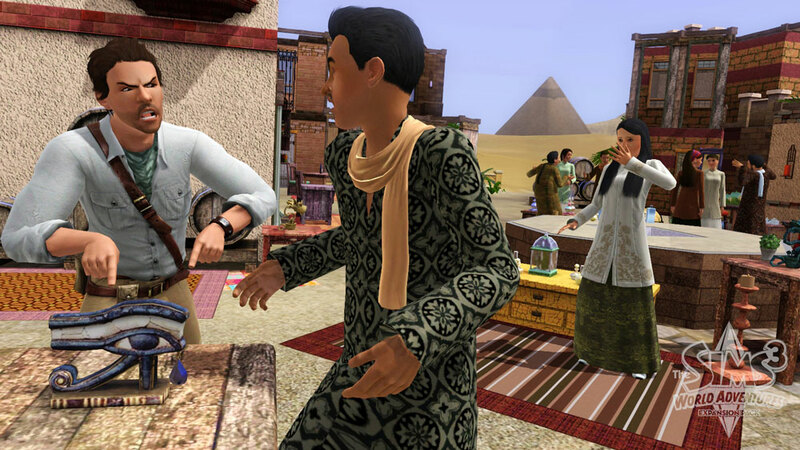 At these locations, your sim is able to indulge himself/herself in many new activities including martial arts, nectar making, and photography; earn benefits and rewards by doing so. 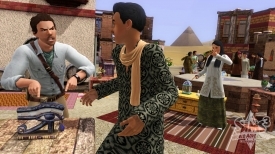 Sims are able to travel to France, China, and even Egypt.